Beth Howard-Brown is a principal technical assistance consultant at AIR. She directs the Southeast Comprehensive Center, which addresses state and local capacity building in school improvement and key content areas, including reading/literacy, math, science, the use of scientifically based research, professional development and teacher quality, and instructional strategies for specific populations. She also oversees SEDL’s (which merged with AIR January 1, 2015) partnership with the REL Southeast at Florida State University. Dr. Howard-Brown’s interests include high school reform, turning around low-performing schools, and college and career readiness. Dr. Howard-Brown has more than 20 years of experience working as an educator and assisting high schools in their reform efforts. She has served as a teacher, a coach, and an instructional leader in assisting staff in understanding and using local, state, and national data along with state and federal legislation to assess, monitor, and improve student achievement. Through her work, she has provided direct on-site technical assistance to district- and school-level administration and teachers in the areas of curriculum development, climate and culture, collaborative planning, and utilizing best instructional practices for increasing student learning. 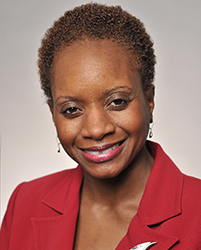 Dr. Howard-Brown has worked in collaboration with the South Carolina Department of Education in providing direct support to low-performing schools and was instrumental in the development of the Palmetto Priority Schools/Turnaround initiative for the state. The initiative created a partnership zone for state-identified low-performing schools working to meet state and federal accountability standards. These schools received support through state-identified teams and private- and public-sector partnerships.